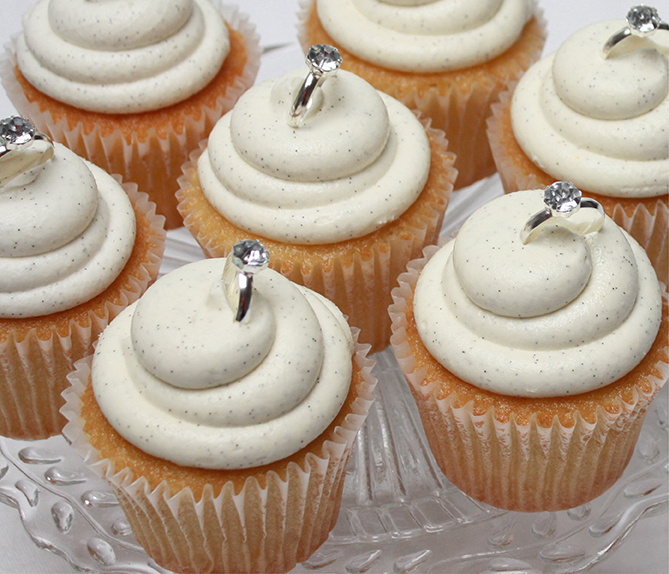 Lay out cupcakes in desired presentation. Place 1 ring in the top center of each cupcake. Rings can be found at most dollar stores of party supply stores. Make sure they are food safe.